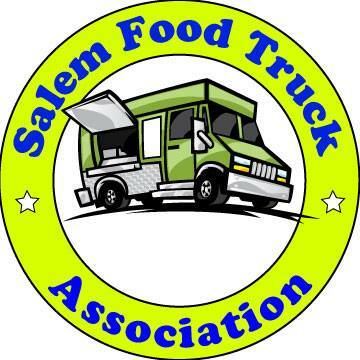 Penned by Dave, an EatSalem contributor. We stopped in over at b2 Taphouse on Saturday to pick up a growlette or two. As we were sampling some of the beers and ciders we perused the menu from the Fire ‘n Slice Gourmet Kitchen parked outside. It was lunchtime so we decided to try a burger. I ordered The Carnivore. The $10.00 price tag was a little more than I would normally spend for a burger but everyone was raving about how good the burgers were and this bad boy left me with no sticker shock. It was a 1/3 pound hand formed patty of Angus Beef, aged cheddar cheese, thick cut pepper bacon, a generous handful of hot pastrami, leaf lettuce, sliced tomato and a horseradish aioli all stuffed in between a freshly toasted bun served with fries and some deliciously tangy, slightly spicy fry sauce. Fortunately, it was delivered to the table with a large steak knife protruding out from the top of the bun. There was no way I could have eaten this masterpiece without cutting it in half. The burger was hot & juicy, the lettuce was crisp and the tomato was garden fresh. The thick bacon was perfectly cooked and the pastrami was hot and flavorful. It was a perfect blend of ingredients in that you could taste everything individually in every bite, no one ingredient dominated over the others. The horseradish aioli was the perfect condiment for this burger adding a creamy, subtle flavor that helped to tie everything together. This was perfectly paired with a pint of Boneyard’s Hop Venom. The wife ordered the MOB. It was shredded or pulled roast beef with cheese (provolone, I think), sautéed mushrooms and onions and some type of aioli served up in a very fresh French roll. I did take a sample bite and it too was delicious!! All the wife would say was “awesome”!! This was our first experience with Fire ‘n Slice and I think we may become frequent flyers. The Fire ‘n Slice Gourmet Kitchen will be at b2 Taphouse 5 days a week, Thursday through Monday, during the winter. A word on the taphouse. Although technically a growler filling station, b2 Taphouse is much more than that. There is a community lounge up front with some comfortable chairs, a couch, big screen tv and tables and a small bar in the back which features about 30 tap handles. There is a great variety of fresh craft beers and ciders available here. Bring a growler and take some to go. Perfect for parties, picnics or enjoying at home. Every time we have visited here it’s been a great experience. The owners are pretty awesome people and the atmosphere is always upbeat with positive energy. I love coming here! draft beer, to go. When purchasing a growler there is a one-time fee for the jug, then it’s yours to keep forever. Fill it up over and over with any beer you choose. Once opened, the beer will usually stay fresh for 2-3 days. A growlette is a 32 ounce glass jug which I prefer over the larger growler. I can buy a few of them and have a little variety.